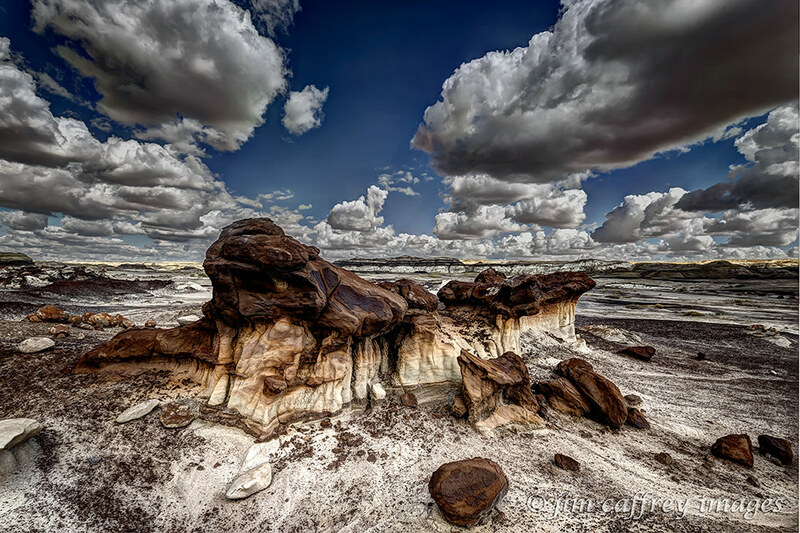 In my last post, I showed you images of some new terrain and features that I discovered on a recent trip to the Bisti Wilderness. 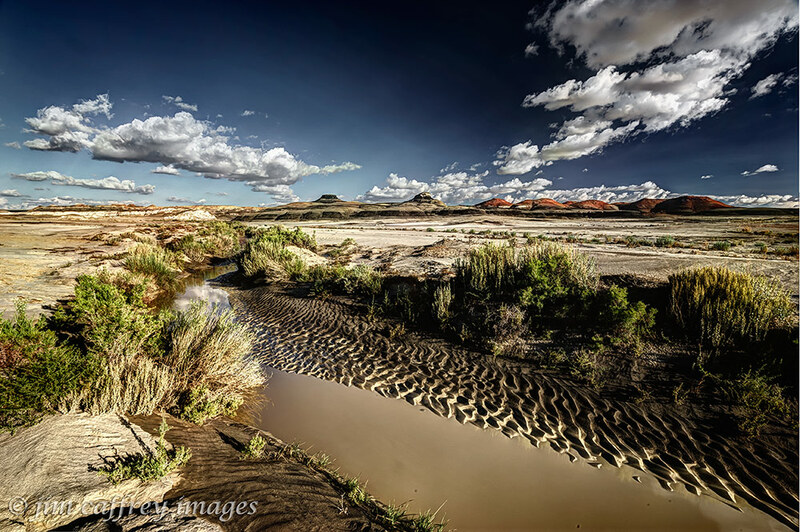 In this entry I would like to show you some new images of places and things I have photographed before under different light or under different conditions. 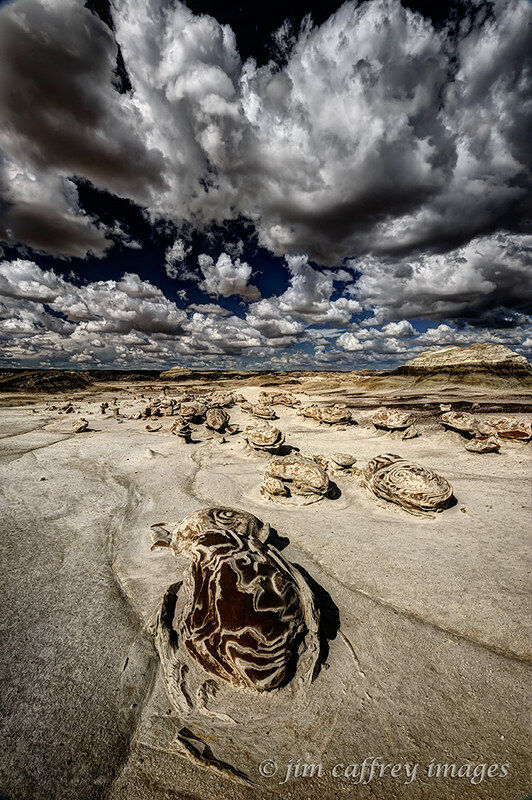 Alamo Wash is the main conduit for the southern section of the Bisti. 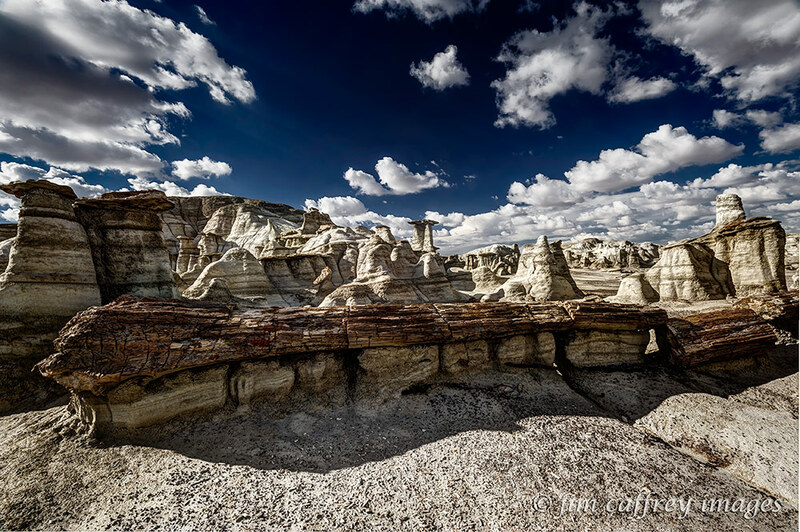 Most of the hoodoos, rock formations and other wonders to be found in the Bisti Wilderness are located in smaller side drainages that empty in Alamo Wash. Although I have been to this place many times, this is the first time I have seen any appreciable amount of water in the wash. I was drawn to the light on the rippled texture along the edge. I think this image tells a great deal about this land of severe contrasts. As you make your way up the middle of Alamo Wash, if you are in the right alignment, you will see a curios formation in the distance. What makes it stand out to the trained eye is the color variation from the rest of the surrounding landscape. 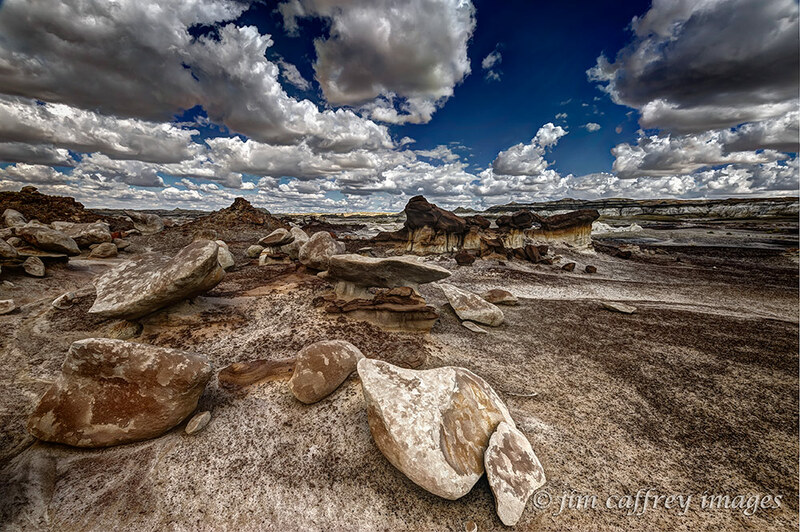 The Bisti Arch is comprised of a dark brown cap of rock which rests on a base of lighter and softer sandstone and mudstone. The base is a gradation of nearly white to a golden brown and is fluted which makes it resemble a freestanding component of Greek architecture. 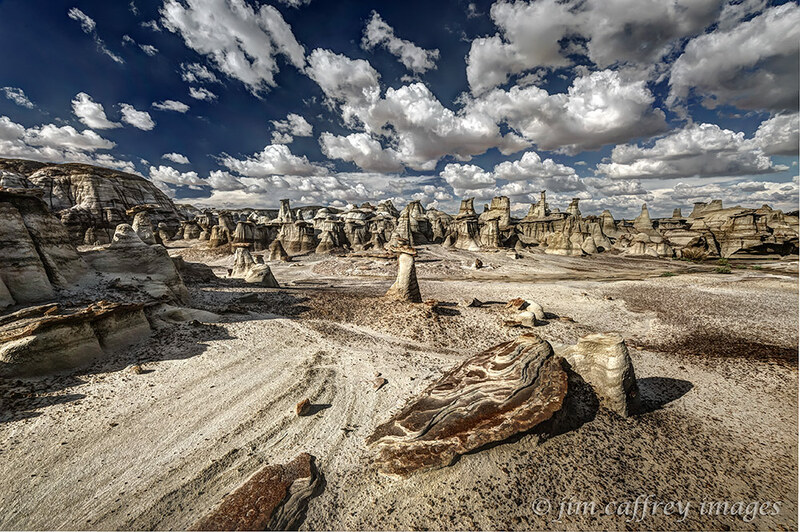 Just around the corner from the Bisti Arch is the Egg Garden–probably the best known and most popular area of the Bisti. When someone signs up for one of my Photo Tours, this is the first thing they ask about. The Queen Bee is undoubtedly the favorite formation within the Egg Garden. I’ve photographed it so many times, it’s getting hard for me to find a fresh take on it. The Egg Garden gets its name from the numerous egg-shaped rocks scattered about like, well…eggs in a gigantic Easter egg hunt. The bowl shaped rock in the above image has shifted since my last visit, most likely due to a heavy flow of water through the wash in which the garden is located. 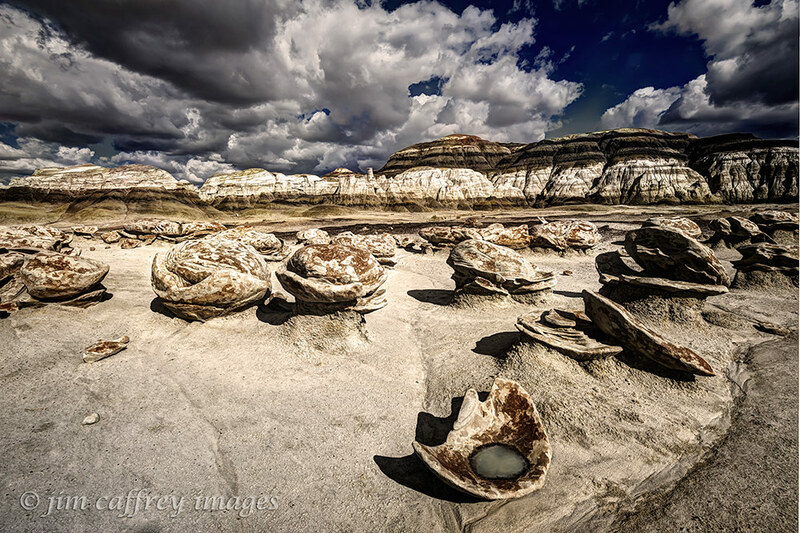 Along with the cracked eggs, the Bisti Wilderness is also known for its ubiquitous hoodoos. They are literally everywhere you look, and, as this image attests, they can stretch to the horizon in some places. 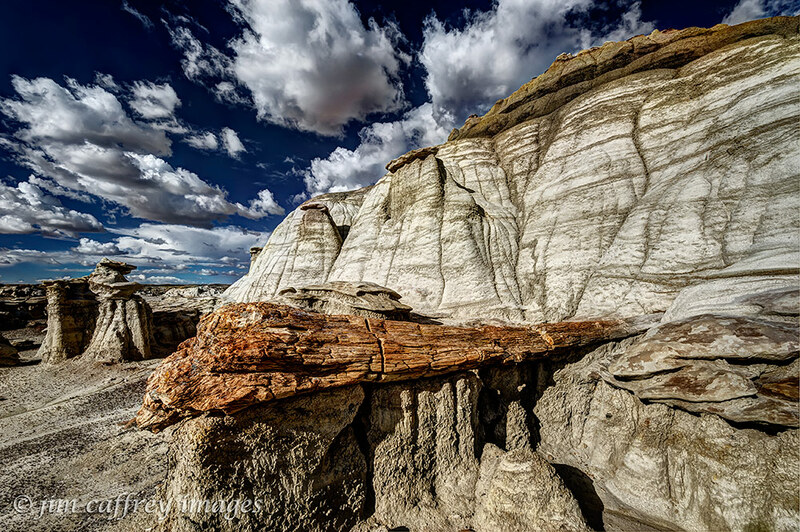 I have been to the Bisti Wilderness more times than I can count; I lead Photo Tours out there, but there are so many nooks and crannies I doubt that I will ever be able to say I’ve seen all of it. Last week we made a quick one day trip just because we hadn’t been there in a while. 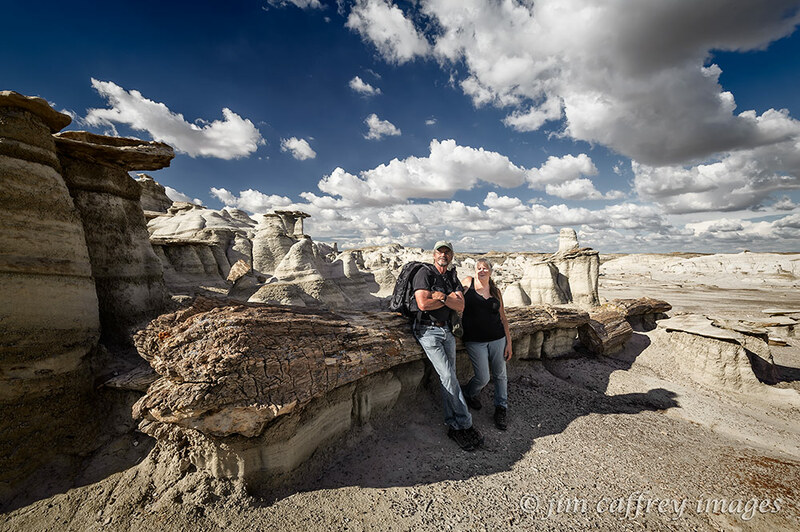 We visited some of our favorite spots, including the Egg Garden and the Bisti Arch. Here is a view of the Egg Garden that I haven’t done before and below is a look at the Arch from a wider perspective–it’s in the multicolored formation in the middle ground. Breaking habits (in both subject matter and perspective) is an important step in growing as an artist; you have to keep it fresh. Next we wandered into an area I hadn’t been to before and in the space of about thirty minutes, we found at least five intact petrified logs; some partially unearthed like the one in the image above and some completely exposed like the one shown below. After who knows how many millennia buried in a sandstone tomb, the fossilized remains of these old trees are once again exposed under the same sun that set on their demise. Apart from the intact petrified remains, there are also many fractured and broken remnants scattered about. The next image shows several smaller logs lying close together as if placed there in preparation for a petrified campfire. 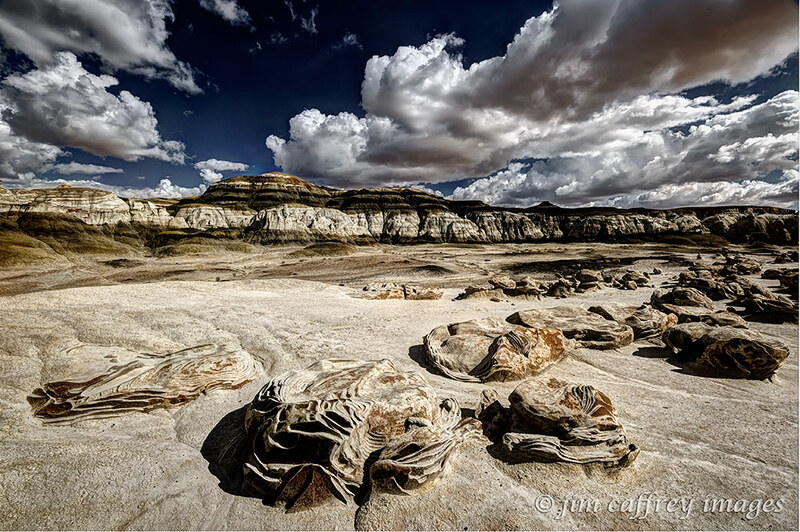 Not only is this area rich in fossils, it is also home to a large number of hoodoos and eroded rock forms similar to the ones in the Egg Garden. 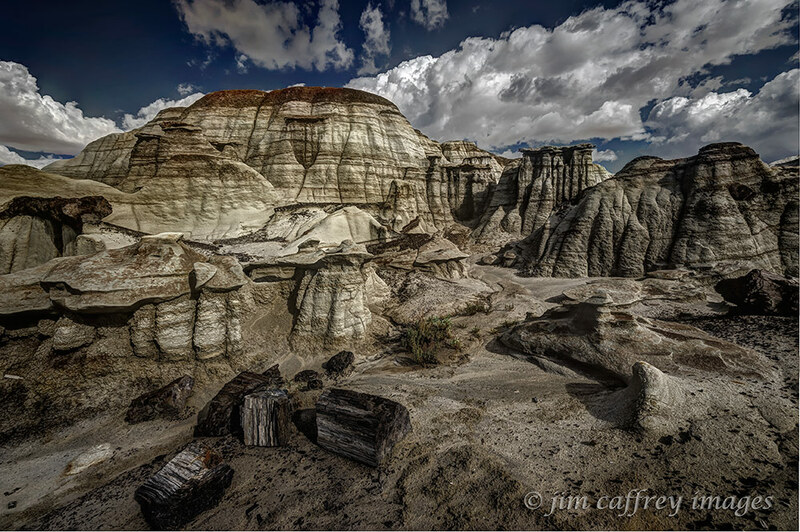 I’m sure that others have been to this part of the Bisti, but I don’t recall ever having seen images of these logs or of the landscapes I have recorded here. This last image is of Robin and me resting against the large tree with a view to the east. In two weeks I will be back out there leading a tour for a couple from Germany. The best parts of what I do are exploring new places and making new friends from around the world. These things help me realize that we, as people, are not so different from one another, and that we, as a species, are not so powerful or important as we might like to think we are.